The Chonnam Tribune gives a brief introduction to several overseas programs that provide students the opportunity to study, work and travel abroad. WEST is a program that provides an opportunity for Korean students to enhance their global competence by working, studying English, and traveling in the U.S. The National Institute for International Education (NIIED), part of the Ministry of Education, has been operating this program since 2008. Students who have completed four semesters or who have graduated within a year can apply for one category of the program which is divided into four categories from a six-month program up to an 18-month program. The period of time that the students participate in the program depends on their language ability. Selected students will receive financial support based on their income level, and all participants will receive 2,000,000 won for their airfare. The NIIED planned to select 135 students in the second half of this year, the application period is expected to be in summer. The Korea Trade-Investment Promotion Agency (KOTRA) has been operating an overseas internship program in order to dispatch student interns to 124 trade centers located in 83 countries including non-English-speaking countries. To participate in this program, students should be enrolled at universities and be in the third or fourth grade. Working at the overseas trade centers, students learn how to cooperate with others and develop international skills. Therefore students should have the capability of speaking the local language in the foreign country where the student will be dispatched. Applicants should take a personality test conducted by KOTRA, and selected students are dispatched for about five months. It is notable that KOTRA provides each student up to 400 US dollars to 700 US dollars for transportation subsidy expenses considering local prices, and credit recognition and scholarship for one semester will be provided by their home university. CNU has been assigned five students who will be dispatched to five trade centers. KOTRA plan to select students around May for the second half of this year. The Working Holiday program is a program whereby youths can work and travel in other countries which have made an agreement with the Korean government. 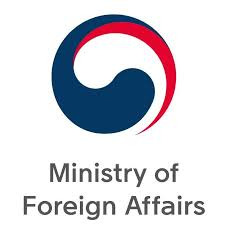 The Ministry of Foreign Affairs has made the Working Holiday agreement with 24 countries. Any youths between the ages of 18 and 30 can participate in the program and experience working, traveling, and studying a foreign language in other countries. It is varied so that the participants have broad options when selecting countries and jobs. The number of people permitted to receive the Working Holiday visas and the period of stay depends on each country’s policy. To participate in this program, students should search for detailed conditions needed to get the visa. After selecting their preferred country, preliminary participants should apply for their visa at the embassy, consulate or immigration office of each country. This program does not provide pecuniary support for the participants, however, they should make their own money during their stay.